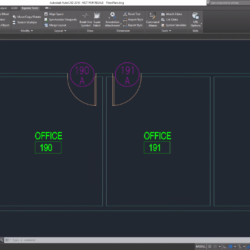 As much as I love the enhancements to the ribbon inside AutoCAD 2010, I have a slight confession to make. I hardly click buttons, navigate menus, or even browse the ribbon to launch many of my most used commands. Instead I revert to a simpler time before such user interface enhancements – the keyboard. 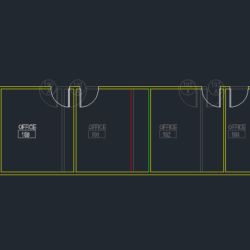 Call it archaic, but with minimal effort, you too can become an AutoCAD keyboard warrior! How you ask? To find the answer you need to look no further than the beloved Express Tools. Looking to the old Express menu, the lesser known Command Alias Editor is tucked away under Express > Tools > Command Alias Editor. 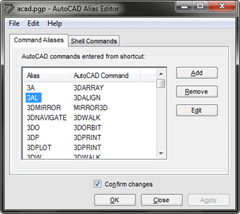 Users of AutoCAD 2010 do not have to look far at all as the Command Alias Editor is the biggest button on the Tools ribbon panel on the Express Tools ribbon tab. 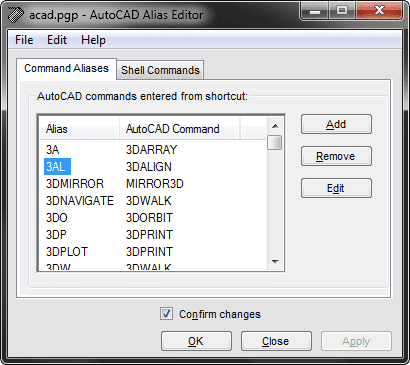 As you may have guessed, the Command Alias Editor is the secret to configuring your keyboard like an AutoCAD pro!